If you are a runner, wearing the right running shoe is essential. For more information, contact Dr. Michael D. Garvin from Florida. Our doctor can provide the care you need to keep you pain-free and on your feet. Does Your Child Have Sever’s Disease? If your child has heel pain it could be an indication of Sever’s disease, or the inflammation of the growth plate of the heel. It can be caused by an increase in physical activity such as running or from having a tight Achilles tendon. This condition may be painful; it can cause limping or walking on the toes in order to keep the heel from striking the ground. Sever's disease commonly occurs in physically active children aged 8 to 12. Because the foot grows rapidly throughout youth, the condition often develops during the first stage of puberty. Basically, the muscles have difficulty keeping up with the rapid growth of the bones. The tendons will typically tighten around the heel, preventing flexibility and causing pain. Common treatments may include stretching exercises, wearing pads in the heels, or possibly using ice for relief. Avoid physical activity while your child heals. If you feel your child may have Sever’s disease, a consultation with a podiatrist is advised for proper diagnosis and treatment. Many benefits are derived from warming up and stretching before running. In addition to increasing body temperature, the muscles become more relaxed; this lowers the risk for workout injuries. A common way to avoid running injuries is to begin jogging slowly and eventually increase to the desired speed. Typically, warming up before any kind of exercise may not only help you avoid injuries, but also aid in the prevention of sports-related musculoskeletal system diseases. 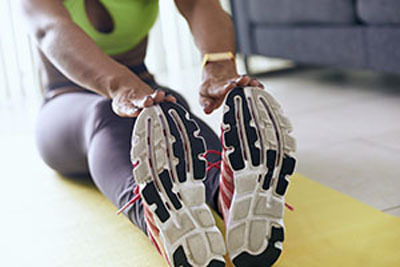 Many people believe that stretching before running is dull and a waste of time, but when done properly, it may help prevent sudden pressure being placed on the blood vessels and heart. An additional benefit is increased oxygen in the blood, along with maintaining proper posture. Also, daily stretching can help mitigate the negative impact of sitting for extended periods or other work related activities. Exercising your feet regularly with the proper foot wear is a great way to prevent injuries. If you have any concerns about your feet, contact Dr. Michael D. Garvin of Florida. Our doctor will treat your foot and ankle needs. While it’s a common and generally minor issue, cold feet can be a sign of other conditions. If you are in a cold environment, having cold feet is a normal occurrence due to the blood vessels constricting; this is typically not due to chronic, systemic poor circulation. 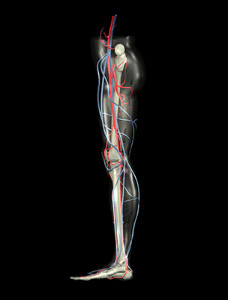 Poor circulation on the other hand is when the blood vessels become narrow or blocked. Blockage and constriction can occur from a number of issues such as from smoking, poor diet, diabetes, and Raynaud’s disease. Raynaud’s disease is a condition that causes the blood vessels to spasm and temporarily reduce flow to the hands and feet. If you are a relatively healthy individual, then cold feet can most likely be treated with warmer footwear. For those who have health conditions, like diabetes, or who smoke, cold feet can be a result of poor circulation stemming from these conditions. If you experience cold feet often, then it may be best to see a podiatrist who can determine the exact cause. Starting guard Anthony Steen of the Miami Dolphins has been placed on the injured reserve list. Steen had injured his foot during the New York Jets and Dolphins game. While it was unknown how severe the injury was at first, Steen ended up needing surgery on his foot. With the regular season winding down, his placement on the injured reserve list essentially means he is done for the season. This is because players have to spend eight weeks sidelined on the reserve list before they can return. What is Hammertoe and Mallet Toe? An imbalance in either the muscles, ligaments, and tendons in the foot that keep the toes straight can cause hammertoe or mallet toe. 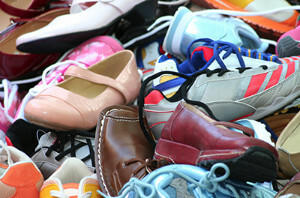 Causes of this imbalance can stem from improperly-fitted shoes, trauma, and even foot structure. An abnormal bend in the middle joint of a toe is called hammertoe. When the joint nearest to the toenail is affected, this condition is called mallet toe. 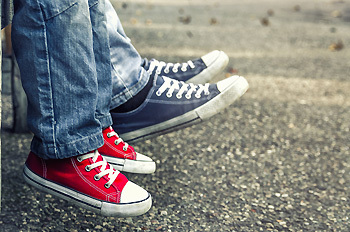 Poorly-fitted shoes can result in the toes becoming compressed which can result in the condition. Simply wearing properly-fitted footwear may cause the toes to become uncompressed and restore balance in the foot. However, surgery may be needed if the issue stems from trauma or foot structure, and if symptoms become more severe or do not go away. While we should all take care of our feet, those who are active should be more proactive when it comes to foot care. Athletes and physically active people generally subject their feet to more stress than an average person normally would. This can increase their risk for foot injury and ailments. Here are some tips that active people can follow to help prevent injury. Make sure to pick the right shoes for the right activity. If you run, running shoes are best; if you play tennis, go with tennis shoes. Picking a quality pair of moisture-wicking socks can also help prevent foot fungus by keeping the feet dry. Runners reportedly also often suffer from dry skin on their feet. To help prevent dry feet, use a good moisturizer. Washing them often is a good way to keep them hydrated while also helping to prevent foot and toenail fungus. If you workout, don’t forget to workout your feet. Strong feet will aid in preventing foot injuries. Upon completing a workout make sure to give your feet time to rest. Finally, if your feet hurt, stop exercising and avoid putting pressure on them. If the pain doesn't go away it is recommended to see a podiatrist.